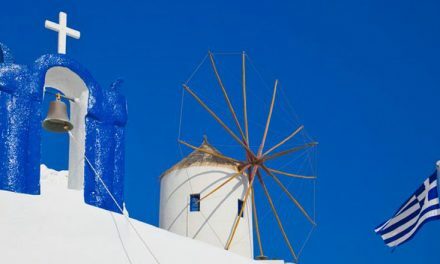 The stunning scenery that this island offers, the strong contrasts of color, the narrow streets, the sea and especially the fascinating sunsets of Oia, in the years inspired many artists: writers, photographers and filmmakers. These include the award-winning novel The Agavi “The shores of another sea” by Eugene Nocerino, an intriguing tale and fantasy, in which the story involves mythological characters and ancient legends, particularly in the architectural landscape of Santorini. The adventure lived in part in the depths of the sea, accompanied by actors with a careful description of marine life, and encourages, through the mournful call of a siren, to the respect for Nature. There are many films set on the Island taken from novels as “The Sisterhood is a pair of jeans,” a 2005 film based on the novel by Ann Brashares, where the journey is once again the metaphor of growth and transition from adolescence to maturity. 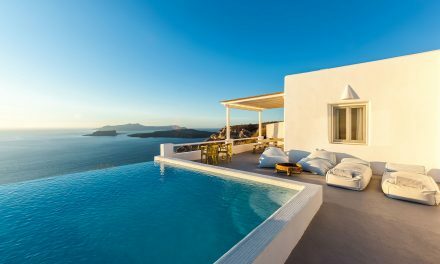 Santorini becomes an ageless place of love and pursuit of happiness, of romantic landscapes and of a time that seems to stand still leaving space for reflection and feelings. Even Nichetti film “Snowball” is based on the book by Emilio Nessi: a comedy of seafaring adventures in the key of fable, which tells the story of abeluga (called White Dolphin) pursued in the seas of Greece from poor Billy the Bull (Paolo Villaggio) vaudeville actor, which has engulfed pension book, and the grim Marcov (A. Haber), an arms dealer who wants to use it as a torpedo in a terrorist attack. We must go back a few decades for “Summer Lovers” film of 1982 in which the island is once again a place of meeting and love, this time “three in love”. 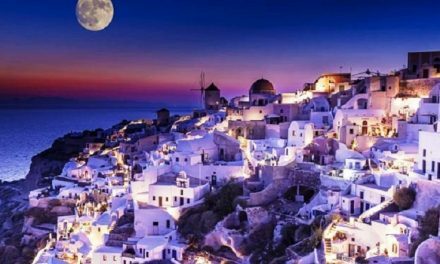 It was a film with a small budget, then the Greek Islands were already popular with young tourists from around the world, but this unpretentious film became a huge commercial success for the Greek Tourism Authority. The main performers are Silvio Muccino, Violante Placido and Elio Germano. The journey of maturity for the three male protagonists is to Santorini: Matthew has a stormy relationship with Carmen, and knowing that she will go on vacation right on that convinces his two friends looked forward to starting the trip as a “last to know their themselves. “Along the ferry trip, the three encounter two very attractive girls who will accompany them on the island. Many things happen in a week, that will forever change the lives of the three protagonists and will help them grow and mature. In Italy the film was a success but also had the honor to let know the island just as identifying the ideal holiday destination for young and as indispensable place to come into adulthood.